Podcast 089 What is Your Title? Home / Podcast 089 What is Your Title? I’m not referring to your official job title, but to an identity that best describes the essence and fullness of who you truly are. Most of us are accustomed to carrying limited ways of identifying ourselves. We often stay carefully and rigidly within the lines of social and professional constructs. Some of us have remained under titles that don’t suit us, while others wait for titles to be bestowed upon us by others. But what if we’re carrying an internal title, one that’s yet to be discovered! Each of us embodies attributes that make us uniquely rich in character, talents and more. And as we begin to think of ourselves in outside-the-box ways, we set ourselves free to shine in full bloom. As a side consequence, we inspire others to do the same. 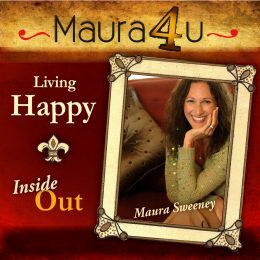 If you are seeking a more empowered and authentic life experience, then this upcoming podcast is a great listen for you. Maybe it’s time for you to come out of hiding and manifest some of your inner dreams and personal aspirations. The world may be waiting for your vibrant new title to add to its global goodness! Want more inspiration on this topic? Watch the following video where I make a similar query: What is your name?